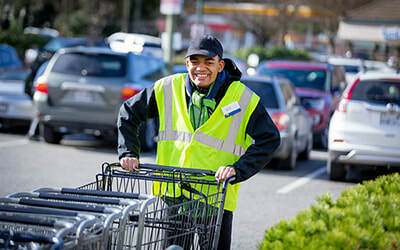 Northwest Center provides employment services in Washington State to adults with disabilities in King County, Snohomish County, Pierce County, Chelan County, Douglas County, Okanogan County, and Spokane County. We place people in jobs that match their skills, and then provide them with the appropriate level of support at each step along their career path, every step of the way. Select an option below to learn more. We know that employing people with disabilities is good for business. Studies show that inclusion benefits the entire workplace with better morale, efficiency, and consumer reviews. "NORTHWEST CENTER HAS BEEN AND CONTINUES TO BE A VALUABLE COMMUNITY PARTNER FOR US. 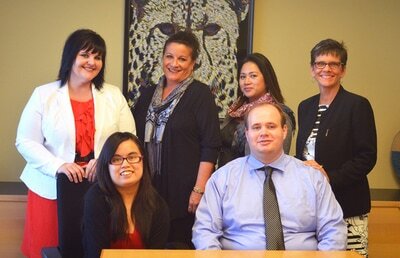 THE STAFF DOES A GREAT JOB OF REFERRING CLIENTS THAT ARE JOB-READY AND A GOOD MATCH FOR SAFEWAY JOBS."